BRYAN EATON/Staff Photo. 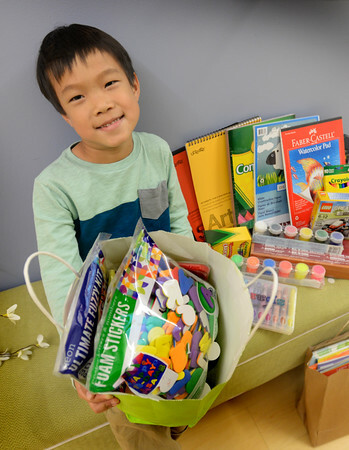 Lucas Ting of West Newbury smiles showing off the birthday gifts he received for his seventh birthday recently. But he's not keeping the gifts and donated them to Bright Horizons in Newburyport where he went as toddler. The child care organization supports Bright Spaces, a place where children can play and meet other children and so are forwarding the gifts to the Bright Space at the Amesbury branch of the Jeanne Geiger Crisis Center.